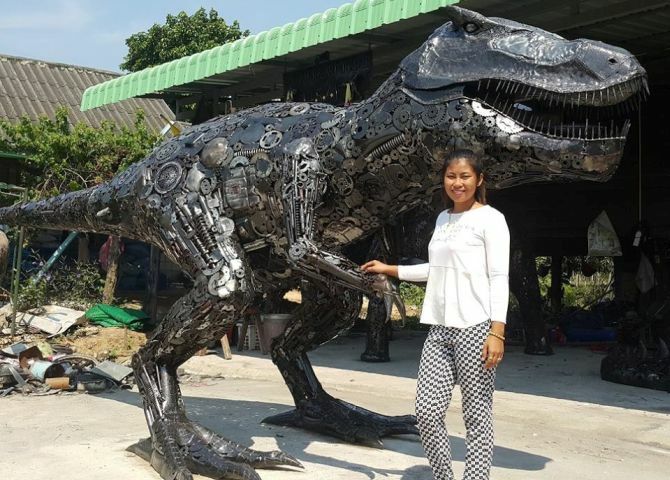 Based in Chachoengsao, Thailand, this cool company creates absolutely unique life size statues based on movie characters. 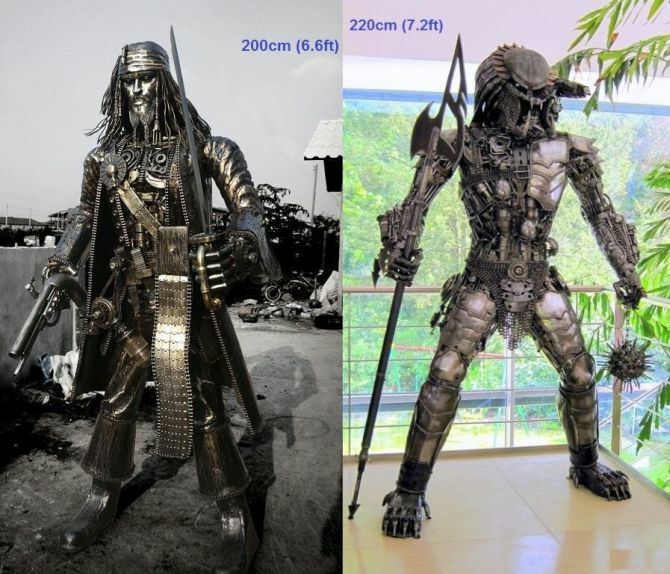 The collection includes life size predator/alien replicas, Transformers statues, Star Wars and Terminator Figures. Besides that, it also includes sculptures of superheroes such as Ironman, Captain America, Hulk and Spiderman. 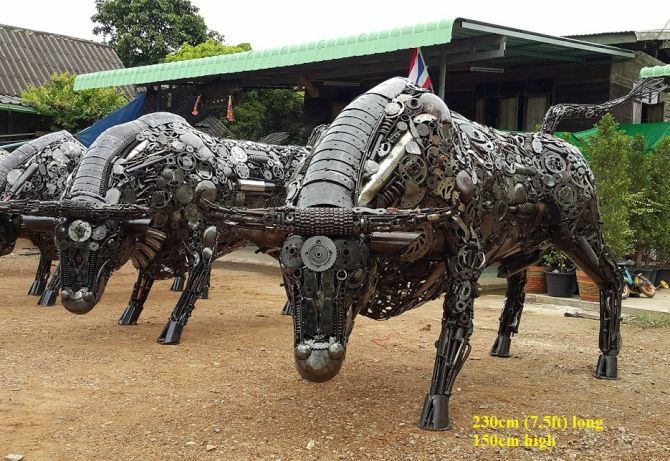 Each scrap metal art statue is hand-made as per the clients need in Thailand from recycled car parts. 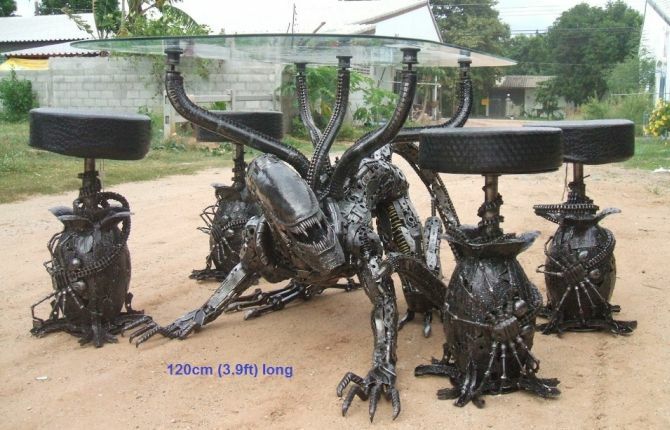 Well, if you want something more useful, Scrap Metal Art Thailand also creates furniture art in the form of Alien tables and Predator Tables along with Spiderman coffee tables, Hippo and Rhino bar furniture. 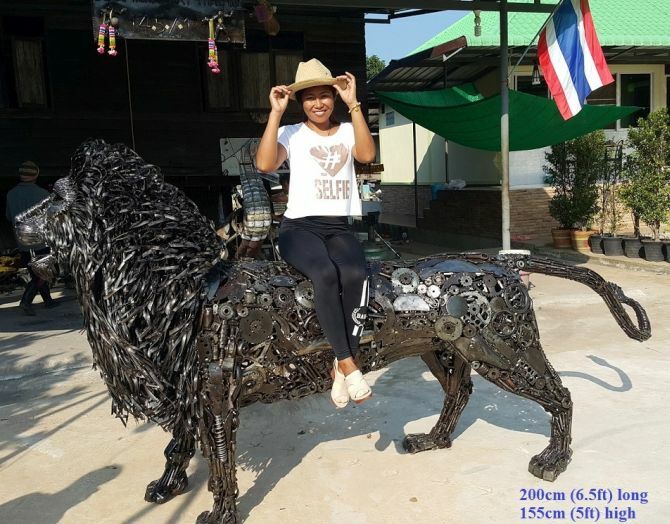 The company makes custom design metal statue, ranging from 1 meter which weighs about 60-90 kilos to 8 meter height in size which can weigh up to 2500kg. 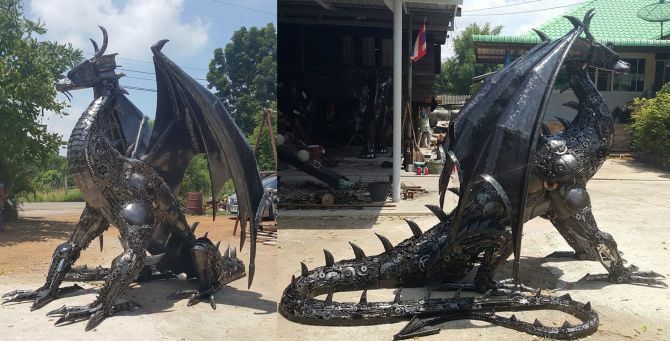 With a working staff of over 50 artists, a 1 meter high statue is made in 2 weeks time, a 2 meter statue takes 4 weeks time, and a 6 meter statue takes about 12 weeks time to complete. 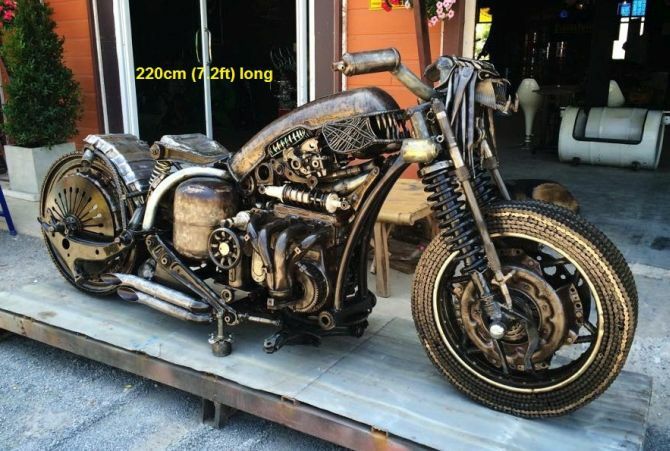 For the satisfaction of their clients, detailed photos of the sculptures are sent to them every 10 days. Also, on statue completion, dozens of high resolution (700Kb-1MB) detailed photos from all angles are sent, for statue final approval. 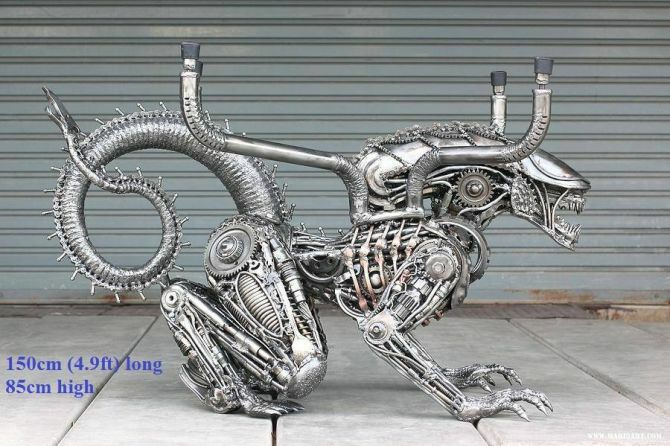 The statues are sprayed with a top quality acrylic lacquer so that they can be placed outdoors without any problems. You can contact the seller for pricing, shipping and other details through their official website. 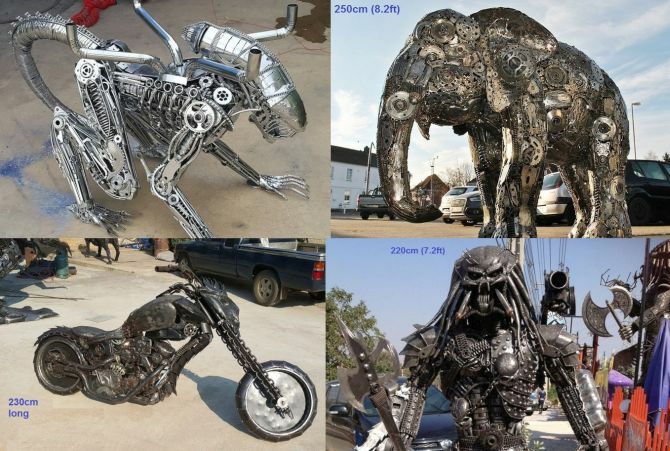 You can also check out company’s other cool scrap metal art collections which includes Animal Art in the form of Metal Horses, Dogs, Birds, Dragons, Dinosaur Sculptures and Metal Art Bikes, Cars and Planes as well.